Go to Spirit Rock for Free! 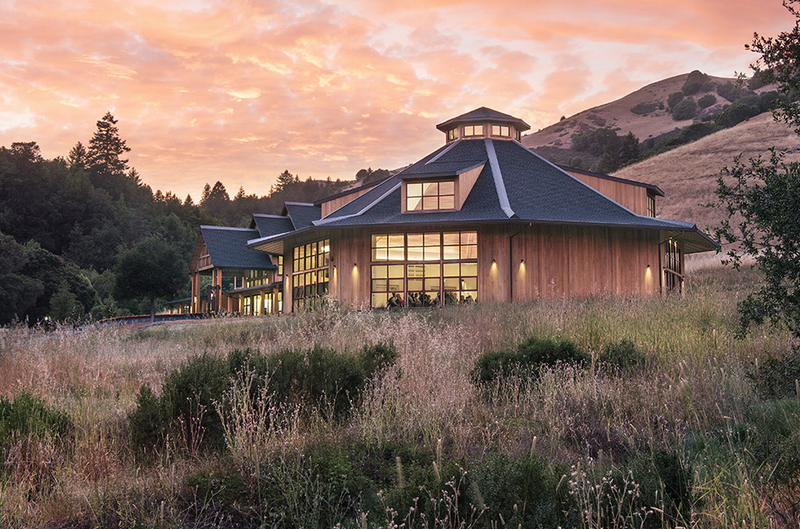 Wish you could go to one of the Monday Night Dharma Talk and Meditation events taught by Jack Kornfield & Friends (held at Spirit Rock’s beautiful new Community Meditation Hall pictured above), but don’t want to get on a plane and fly out to California for the evening? 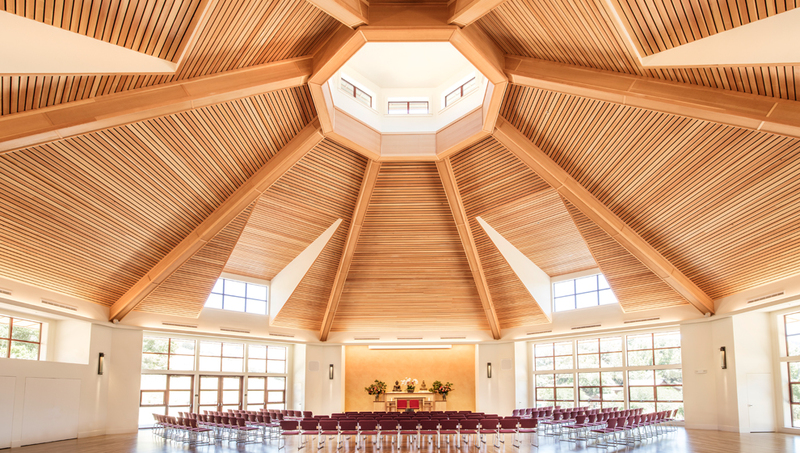 These Monday Night Dharma events are now available online — for FREE!!! — including the one scheduled for next Monday night (Oct 1), which will be taught by my mentor, Phillip Moffitt. These webcasts are live, so they run from 9:00 pm to 11:00 pm St. Louis time, BUT the video recording is available for 2 weeks after the event for anyone who registers, so you don’t even have to stay up late to see it! You just have to register by midnight of the day before the event. Want to attend Monday Oct 1, when Phillip Moffitt is teaching? Register here. Want to attend Monday Oct 8, when Mark Coleman is teaching? Register here. Want to attend Monday Oct 15, when Nikki Mirghafori is teaching? Register here. Want to attend Monday Oct 22, when Jack Kornfield is teaching? Register here. I’ll definitely be attending this Monday, when Phillip is teaching. Why don’t you join me? Tomorrow, I’ll be “attending” a day-long retreat led by Bhikkhu Analyao (!) — which will be at Spirit Rock — but they’re live-streaming it, so if you sign up here, you can attend on-line for FREE!!! 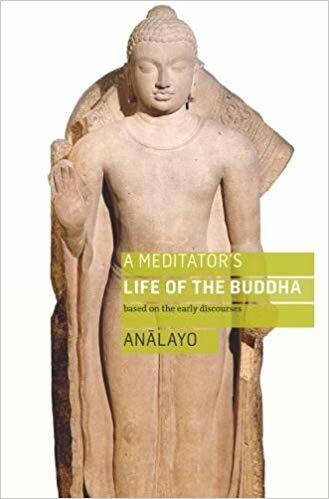 According to the Spirit Rock website: “During this day, Bhikkhu Analayo will read and comment on excerpts from his recent book, A Meditators Life of the Buddha, followed by guided meditation instructions. A common misunderstanding found in modern mindfulness teachings is that by simply observing experience with mindfulness all will be transformed. But there is more to mindfulness than this. The wisdom in this book helps us to realize that wise mindfulness recognizes what is present, and then guides us from unwholesome to wholesome states. We can learn to see clearly and then, in response, tend, direct, refine, and transform our own mind. Developing a mind and heart suffused with wisdom and metta allows us to live with freedom wherever we are. Bhikkhu Analayo shows us how the Buddha embodied this spirit, ever responsive to those around him. There is an immediacy, decorum, grace, open-handedness, and profound compassion in his tending of all he touched. We are invited to bring these same qualities alive in our own Dharma life. Make it a manual of practice…. May the teachings, stories, and practices here bring you the blessings of the Buddha. “I want to start the evening with a recognition that this has occurred because in our Buddhist practice, we don’t turn from dukkha. We “stand under” dukkha. We accept the truth of dukkah as part of this existence in this realm, AND we cultivate the appropriate response to it. “Sometimes that response would be our ‘non-participation’. Sometimes it would be activism of one kind or another. Sometimes it would be raising our voice, sometimes writing letters, sometimes it would be taking to the streets….whatever would be appropriate. “Sometimes it’s just caring for those who are experiencing the dukkah. Sometimes it’s being political. Sometimes it’s being willing to witness and saying ‘NO! This is not what we are capable of being as a culture. No. NO. Phillip then asked the audience to stand, or to kneel, or bow their heads, or whatever they wished in order to ‘bear witness’, that is to ‘stand under’ and be willing to know in their hearts that this is true, that this has occurred, and also to hold in their hearts those that have been injured, those that have died, and all the families — to hold them all in great compassion. To hold them in compassion and to ‘stand under’ the truth that is is happening, that this is happening in OUR country, OUR society, OUR culture. The audience then stood, or kneeled, or bowed…and then Phillip began by ringing the big bell at the front of the hall, which was then followed by several other members of the audience ringing bells that they had been given…then back to Phillip ringing the front bell again and then back to the other bell ringers, and then on and on, again and again, until Phillip finished with a final bell, and then stood in silence until all the sounds came to rest. May we bear this, which is ours to bear. And may the great pressure of this move us to respond appropriately. This coming Sunday, Sept 17, Spirit Rock will webcast (live) an evening with Daniel Goleman from 9:00 to 11:00 pm St. Louis time (7:00 to 9:00 pm Pacific time). Cost begins at $15. Registration is required. Click here for more information. The claims for the benefits of vipassana and mindfulness range from scientifically sound to pure hype. At this event, Daniel Goleman answers questions about what science actually has found, what’s not known, and what’s simply not true. 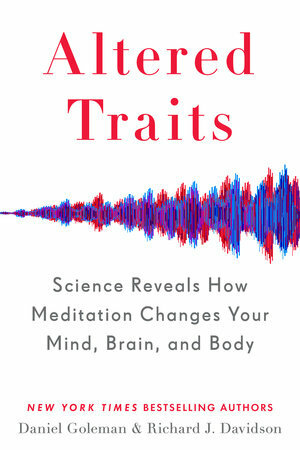 His new book with neuroscientist Richard Davidson, Altered Traits: Science Reveals How Meditation Changes Your Mind, Brain, and Body sifts through the more than 6000 peer-reviewed articles on meditation to pinpoint the strongest one percent. The news here for long-term vipassana meditators is compelling.